Fibreglass is a material made out of fibres of glass. While its applications are varied and many, it poses health risks to those who come into contact with it without proper protective gear. If not handled properly, the resin in fibreglass is believed to cause eye irritation, skin irritation, risks to lungs on inhalation from air-borne particles and even kidney diseases. 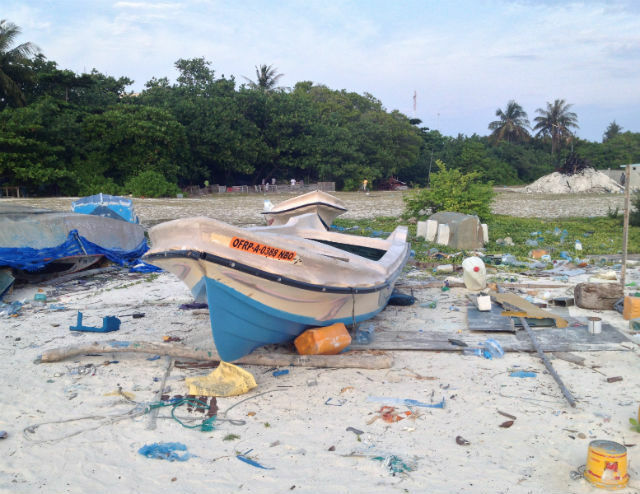 Since fiber glass is not bio-degradable small particles of it may remain on the South West Beach of Villingili for a very long time undetected. 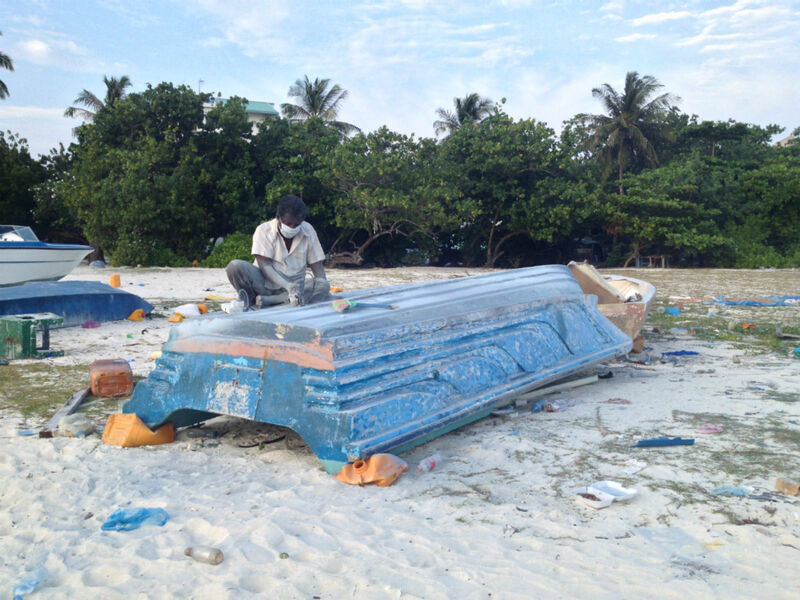 It is a health risk for everyone who uses the beach – and fibre glass boat building work should not be carried out in open air places like the beach where people and children frequent. In addition to being a health risk, this type of industrial work has left the beach littered and dirty, leaving behind a risky job for the cleaners.